It’s tech time for Hamilton, and James miraculously has found time to bake! 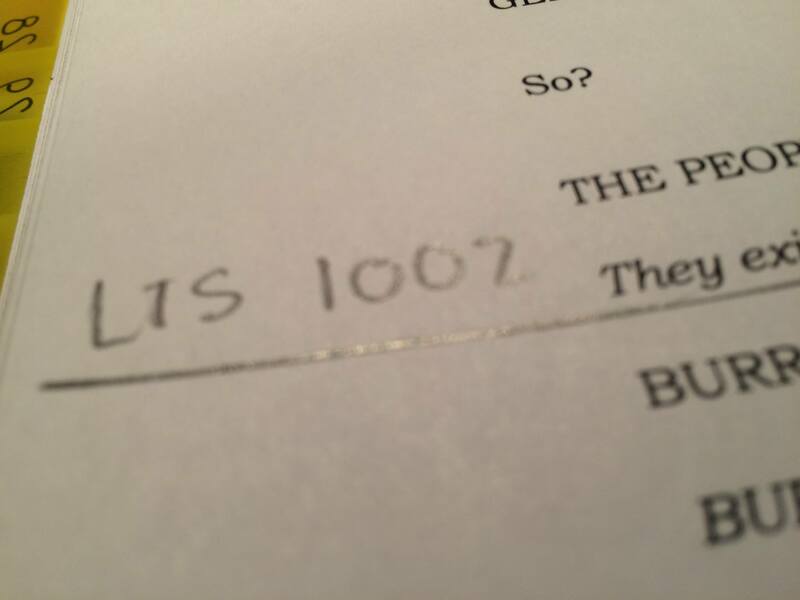 Here’s a photo of James’ calling script — twelve more songs to tech and he’s already on light cue 1002! For those of you who aren’t stage managers, that is A LOT! So, it puts his ability to bake 5 dozen cookies during this time into sharp perspective, don’t you think? There’s always time to bake . . .
2. In a separate bowl, whisk together flour, baking powder and baking soda. Add to wet ingredients. Mix just until combined. 3. 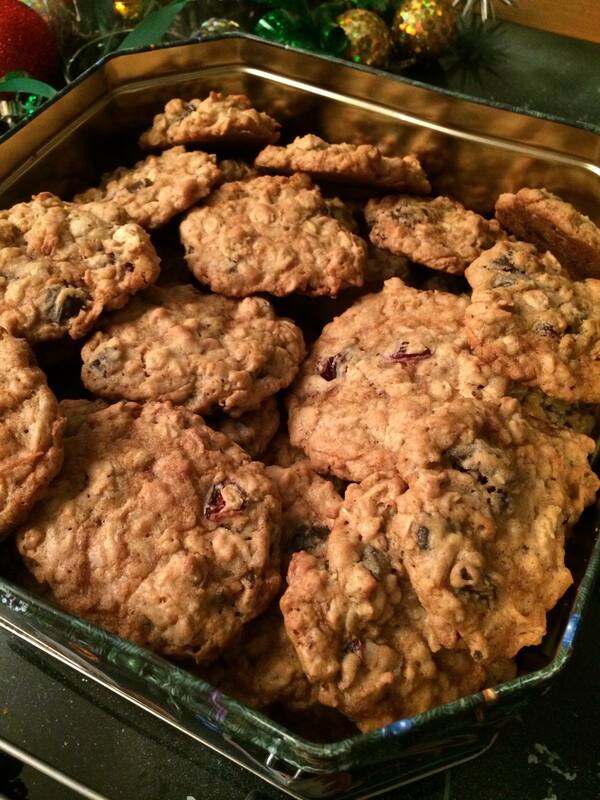 Using a spatula or a wooden spoon, mix in Rice Krispies, oatmeal, chocolate chips, coconut and cranberries . NOTE FROM JAMES: This makes a huge batch. I usually cut it in half and still get 5 dozen!!! I originally got the recipe from my mom and did some modifications.